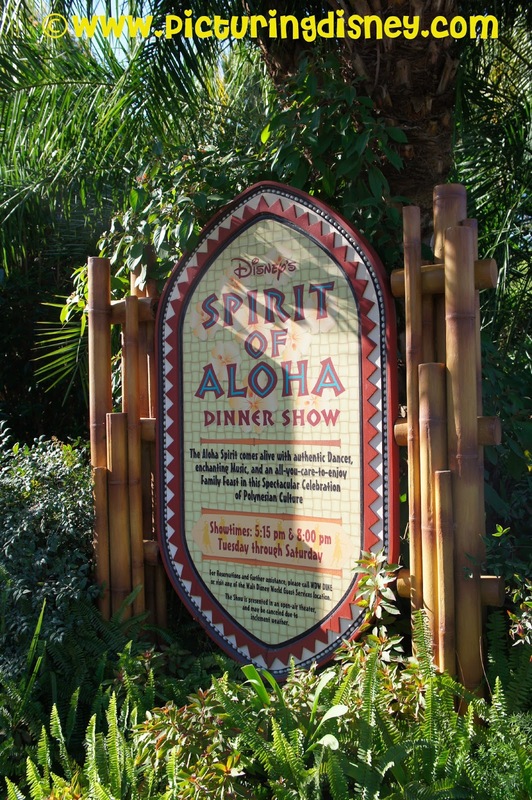 Our first trip staying at the Poly was in February 2011 and I wasn't really sure whether we would want to commit time to the dinner show so I put it on the back burner. When we decided to go back I knew I wanted to get this show in because I loved the culture surrounding the resort. The show starts with the premise that Lelaini is going to college. The community surprises her and they create an interactive show celebrating her and showcasing some amazing Polynesian dances. And perhaps the part that was stuck in our heads the most- the integration of some Lilo and Stitch songs! We were singing Hawaiian Rollercoaster Ride for the rest of our trip! I think if you are staying at the Poly this is a must for a nice way to enjoy your hotel grounds and get the most of the resort. If you can't afford the Poly but want to be immersed in island culture this is also a great choice! The food is served family style and is pretty good (plus there were beer and wines included on the menu without having to pay extra) but its the entertainment that makes this worth every penny. Prices currently run for Adults $58.99-$73.99 and Children $29.99-$39.99 depending on what category you choose. We were in Category 1 which is closest to the stage and for the show during Spring Break we booked about 4 months in advance but you can book up to 180 days out.